A new cultural landmark is in the works for Yas Island, Abu Dhabi. 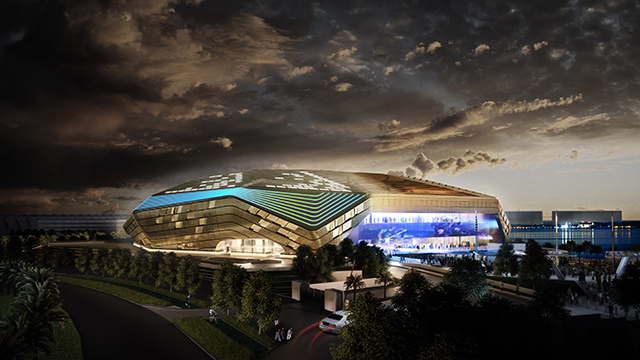 Yas Arena will be the first multipurpose built arena in the city designed to accommodate a wide variety of sport and entertainment events. 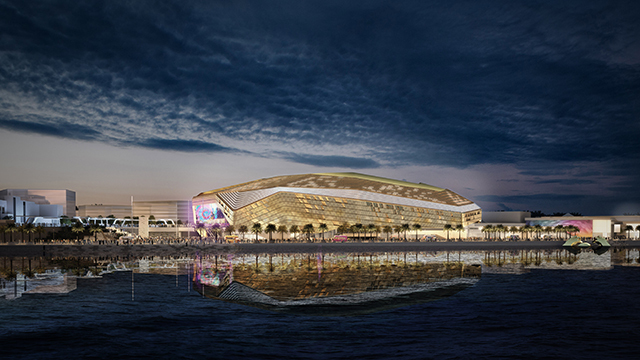 The facility’s dynamic form and illuminated lantern facade is intended to both complement and animate the expanding waterfront promenade at Yas Bay. 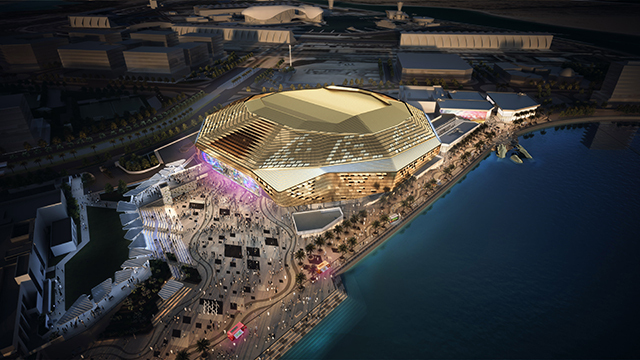 HOK, a leader in International sport and entertainment design, is part of the WSP-led team responsible for delivering the design of Yas Arena, with support from Pascall+Watson. The team was engaged by Miral Asset Management, the entity responsible for the development of the broad southern part of Yas Island. 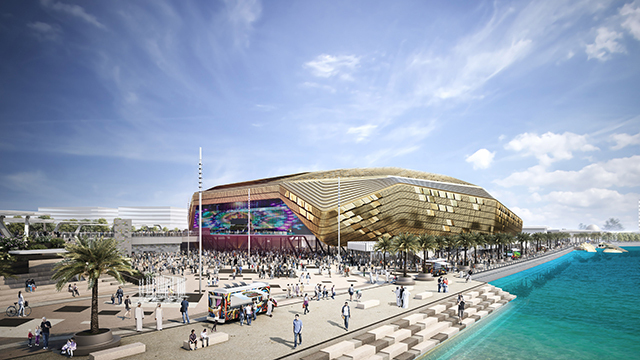 In addition to the architectural design of Yas Arena, HOK also designed the adjacent arena retail and dining destination along the boardwalk, forming a mixed-use anchor on the east end of Yas Bay. HOK designed Yas Arena to create an intimate, highly flexible and efficient venue with excellent acoustics that can be used year-round for a variety of sport and entertainment events. 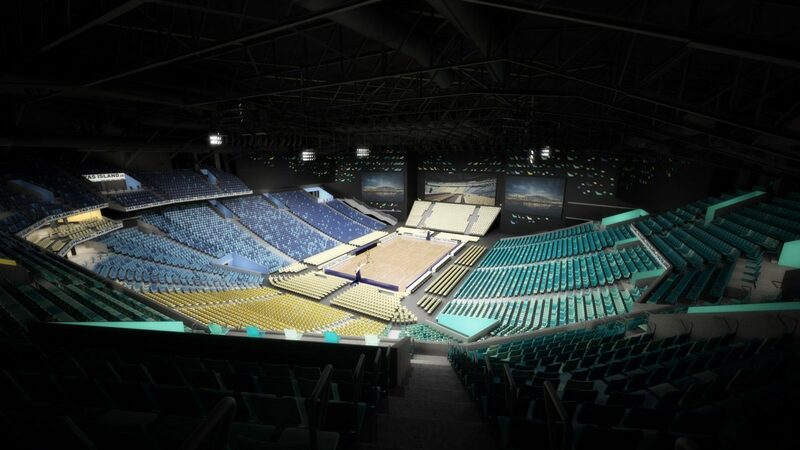 The arena is designed to expand from an intimate 500-seat theatre to an 18,000-capacity venue, maximizing revenue and supporting a wide variety of events. This focus on flexibility carries over to premium and back-of-house spaces. The arena is designed to adapt to create the ideal user experience for a diverse set of events, including community gatherings, concerts, performances, sporting events, and meetings and conventions. Premium spaces include a VIP lounge that can be transformed into a grand ballroom for events, hospitality boxes and unique terrace bars for receptions and parties. Yas Island is a new multipurpose leisure, shopping and entertainment destination that includes a hotel cluster, the Yas Marina F1 circuit and a growing number of theme parks. 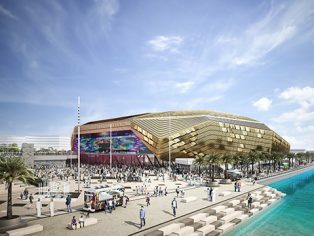 Yas Arena will be located directly on the waterfront and serve as an anchor for the promenade that will feature more than 50 cafes and restaurants, 20 retail outlets, a recreational pier, two hotels and a beach club. HOK’s Sports + Recreation + Entertainment practice has expertise in the design of arenas, stadiums, ballparks, training facilities and recreation centres. The group plans and designs world-class sports complexes that are the centrepieces of successful, vibrant entertainment districts. 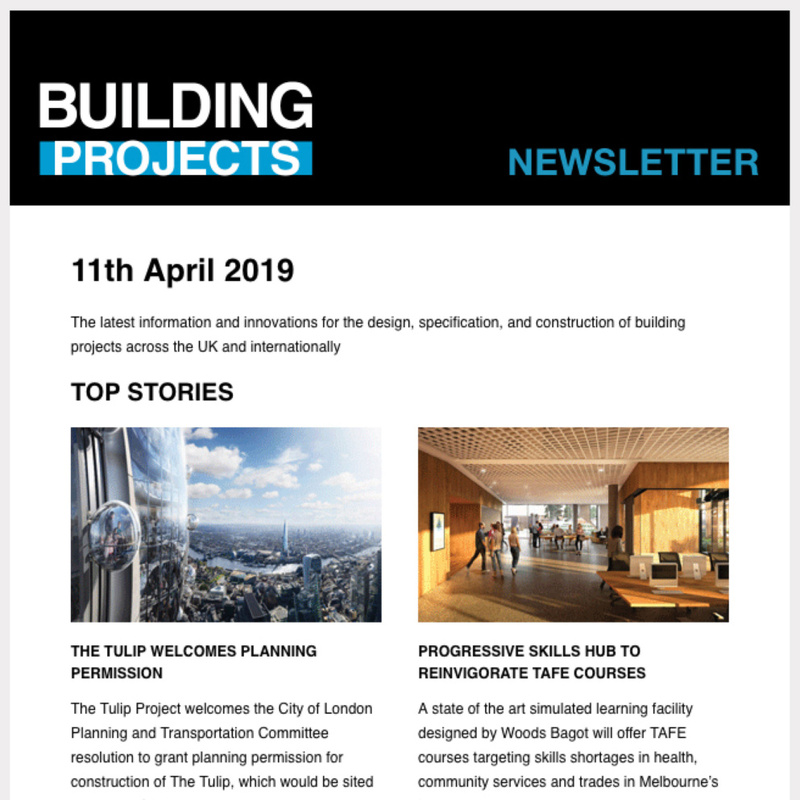 Current and recent projects include FC Barcelona’s New Palau Blaugrana in Barcelona, Spain; the Dubai World Expo 2020 bid and concept masterplan; Mercedes-Benz Stadium in Atlanta, Georgia; Avaya Stadium in San Jose, California; Rogers Place and the ICE District in Edmonton, Alberta; the Detroit Events Center in Detroit, Michigan; a proposed NBA and NHL arena in Seattle, Washington; the AT&T Center renovation in San Antonio, Texas; the renovation of Hard Rock Stadium in Miami, Florida; and Shell Place in Fort McMurray, Alberta.